Sure, Arielle won't deny that she has a vivid, even wild, imagination. Sure, it sometimes runs away with her. And yes, it's true that she never recovered from the drowning death of her older brother, Justin, ten years ago, when Arielle was a little child. She almost hopes that ghosts are real, so that she might see Justin again. But ever since the misty morning when Arielle stumbles on the macabre sight of the body of her sister Casey's best friend, Perdita, being lifted from a nearby pond, ghostly images begin to appear to Arielle. 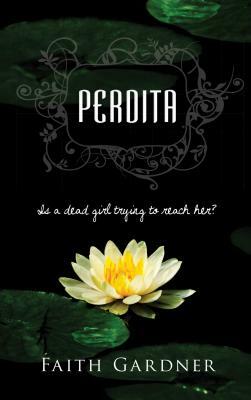 Can they be Perdita, reaching out as speculation about her death ramps up from suicide to foul play? Perdita's younger brother, Tex, is back from private school, and Arielle can't get him off her mind, although he's a beautiful boy with scary secrets. Worse yet, there's no one to tell: big sister Casey's off to college, and Arielle discovers her own sister's cache of secret writings, along with a bizarre note from Perdita. What's real? What's fantasy? In a compelling tale that hurtles toward a stunning conclusion, the imprint of grief and the boundaries of human imagination are stretched to their limits. Faith Gardner graduated from UC Berkeley in 2010 (where she won the Elizabeth Mills Crothers fiction prize) and now works as assistant general manager at a political media organization. Her short stories have been published on McSweeney's Internet Tendency and PANK, among others, winning a Best of the Net award, and have been nominated for Pushcart Prizes. When she's not working or writing, Faith plays guitar and sings in the band Dark Beach. She lives in Berkeley, California.